Squirrels look innocent and cute, but in actuality they can cause a significant amount of damage to your flowers. 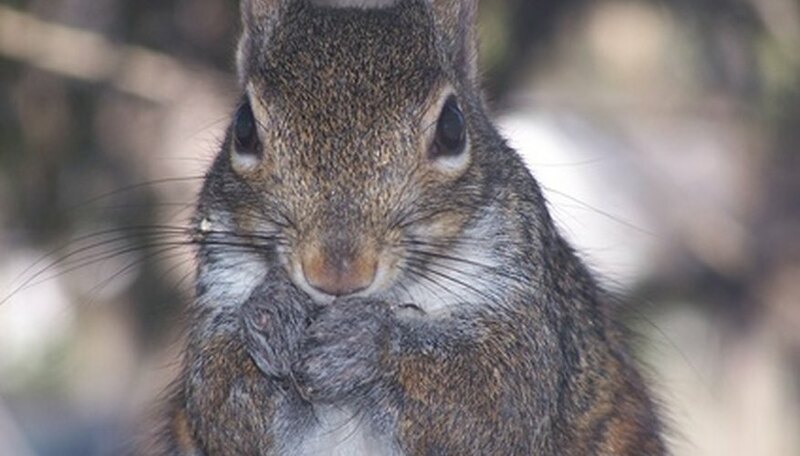 Squirrels are notorious for digging up flower bulbs. What's worse is that once the squirrels find a food source on your property, they can make their way into your home looking for shelter. Fortunately, there are some things you can do to keep the squirrels out of your flowers, and away from your home. Soak all your flower bulbs in squirrel repellent bought from a garden center before planting them in the ground. This takes a little bit of your time, but will keep the flowers from becoming appealing to squirrels. Set up an animal trap and bait it with peanut butter. This is a favorite of squirrels. Once you catch the squirrels, you can set them free in a nearby park. Sprinkle cayenne pepper flakes around the base of your flowers. This is a natural squirrel repellent. Surround your flowers with a 1-inch mesh wire fence. It must go 6 inches under the ground to protect the bulbs, and extend 30 inches high above the ground to protect flowers in bloom. This is not the prettiest solution, but it is one of the most effective. If you do not have cayenne pepper flakes, you can dilute hot sauce in water and spray it around your flowers.